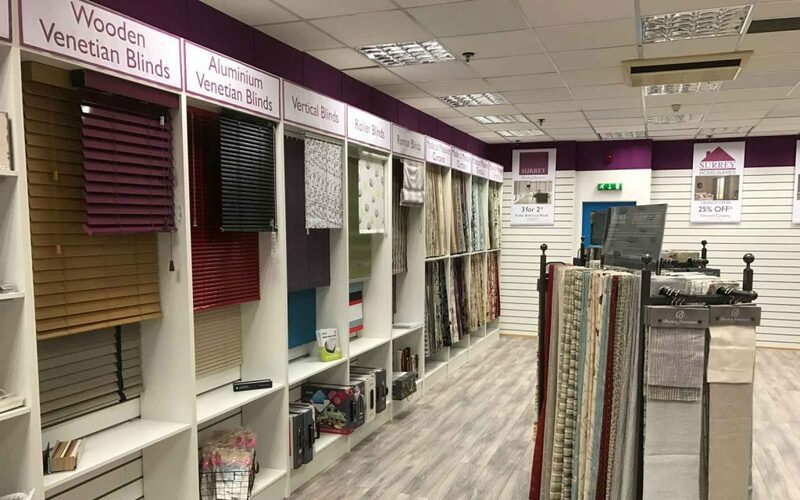 Surrey Blinds is a family run business, offering a wide range of Blinds, Shutters & Curtains in Camberley and the Surrounding Areas. We have an expert team that can give you advanced advice on Shutters in our Showroom in Camberley. Being based in the Square shopping centre we are open 7 says a week. You can also book a Free, No Obligation Quotation by calling or contacting us 7 days a week. The new showroom is at the rear of the Surrey Home and Gifts Store store. Our comprehensive service includes a free consultation with one of our experienced team and professional fitting of all our Made to Measure window dressings.